Certainly it is true that both ferry crossings and metaphor involve risk. They involve submitting oneself, and sometimes one’s automobile, to the condition of betweenity. Mythically, we place ourselves in the hands of Hermes – the messenger, trickster, psychopomp, and thief – whose task it is to negotiate between human and divine realms. We let go of safe anchorage and plain sense in order to achieve some measure of beneficial change. That benefit might be as ordinary as eventually reaching North Sydney or Port-aux-Basques … and continuing one’s journey. But I think that taking the ferry, which includes waiting for it, also involves entering a mental space in which practical action is suspended and some measure of transcendence may occur. In this remarkable essay, acclaimed Canadian poet Don McKay explores how metaphor helps break down dichotomies, engaging a “both/and” sensibility, rather than an “either/or” one. Metaphor, he suggests, “appears to be a primary force of creative thought.” So, with his wry wit and keen intellect, McKay offers an alternative to the stolid dichotomies that too often limit understanding, and undermine creative possibility. As he moves from the Lone Ranger to E.J. Pratt to Harry Hibbs and Mary Midgley, from reductionism to poetry and mysterium tremendum, McKay embraces a more fluid, more inclusive way of viewing the world. Witty, thoughtful and provocative, The Speaker’s Chair is the product of an astonishingly agile mind at play. This lecture was originally presented as the Pratt Lecture at Memorial University of Newfoundland and Labrador in March of 2010. The illustrations are details from Grant McConnell’s painting “The Speaker’s Chair”, and are included with the kind permission of the artist. The type is Dante, and was set by hand. The papers are Arches Text, Matsuo Kozo, and St. Armand Canal. 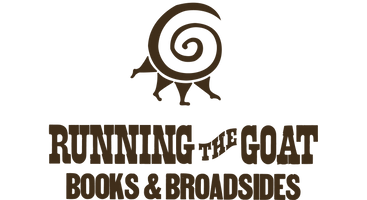 The presswork and binding were done at Running the Goat Press, in St. John’s, Newfoundland and Labrador. Printed in an edition of no more than 350 copies.